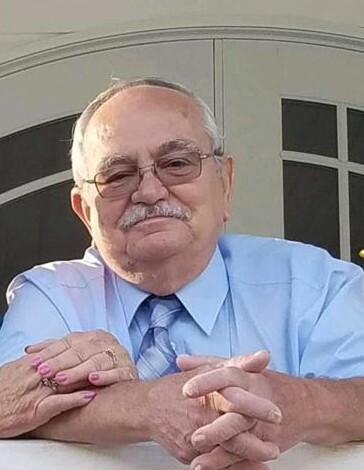 Mr. Millard "Bud" Seale, age 72, of Fultondale, AL was called home on Wednesday, January 30th, 2019 at U.A.B. in Gardendale. Bud was preceded in death by his parents; George and Florence Seale, sister; Margaret Blackmon, mother and father-in-law; John and Mary D. Giles, and brothers-in-law; John and Tommy Giles. Mr. Seale is survived by his loving wife of fifty-two years; Virginia Louise Giles Seale, one daughter; Debbie Seale Hepburn (Ricky) one son; William Seale (Connie), two grandchildren; Amanda B. Keith (Justin), and Dakota Seale, and two great-grandchildren; Xavier Smith and Paizlee Keith, three sisters; Carolyn Bibb, Marilyn Prator (Jimmy), and Deloris LaShum, and two brothers; James (Ann) and Floyd Seale, one sister-in-law; Jean Schor (Walter), a host of nieces and nephews, and his beloved pets; Prissy and Wiggles. Affectionatley called "PawPaw" by his grandchildren, Millard was a loving family man and a strong provider, sometimes working two jobs when his children were younger, just to make sure that his family was happy. Bud was also well known in the south by his peers for the creation of the Sherworks spray equipment repair division of Sherwin-Williams. The family will receive friends on Sunday, February 3rd, 2019 at Walker Chapel Funeral Home from 5:30 until 8:00 p.m. Funeral Services will be held in the chapel at Walker Chapel Funeral Home, Monday, February 4th, 2019 at 1:00 with burial immediately following in Walker Chapel Memorial Gardens.